Yes, I have Muslim friends. They think I am lost and I think they are lost. Volumes have been written on the differences in Muslim and Christian beliefs. I am going to focus on a major difference. It is a distinction that has implications that affect our world today. First, I believe that many Muslims are peaceful. If it were not true, how could it be that so many live among the Jews in Israel? Second, they are not saved. Their view of Jesus is too different from the Biblical view. Third, there are many fanatics in all belief systems. Unfortunately, Muslim fanatics are becoming a larger segment of the religion’s population. I wouldn’t be offended if someone called me a “fanatic for Jesus.” At the same time, I have no desire to kill anyone because of what they believe. It is simply not compatible with Biblical teachings. Many Muslim fanatics are very violent. A large number want to see the Jewish people wiped from the face of the earth. This brings me to the subject of this post. Who did Abraham take into the “land of Moriah” to offer up as a sacrifice as God commanded? According to the Bible, Abraham took Isaac (Gen. 22:2). According to Islam, Abraham took Ishmael. This difference is one reason for the turmoil in the Middle East. You may see a Muslim view of the Abrahamic story here. You may see a Christian view of the Abrahamic story here. 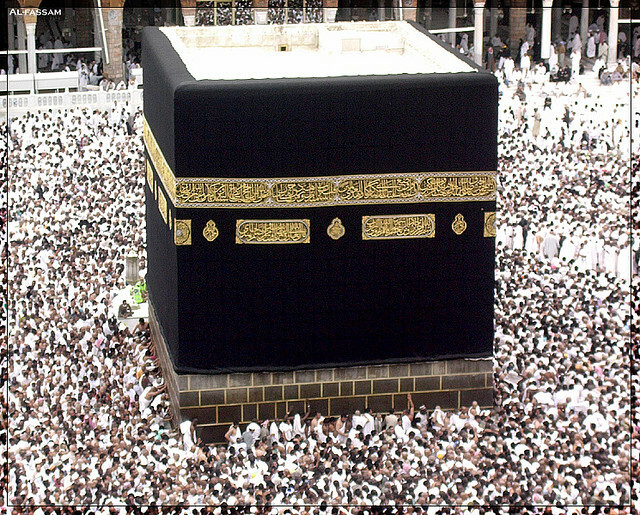 Today is the last day of the pilgrimage to Mecca in 2012 (Hajj). This is why I am covering this subject. If you are a Christian, please pray for the Muslims. They need the true Savior. This entry was posted on Saturday, October 27th, 2012 at 2:08 PM and is filed under Commentary, LIFE, News, The Middle East, theology. You can follow any responses to this entry through the RSS 2.0 feed. You can leave a response, or trackback from your own site. Yes, i agree on the definite need for prayer and fire of God to fall and burn off all that deception.